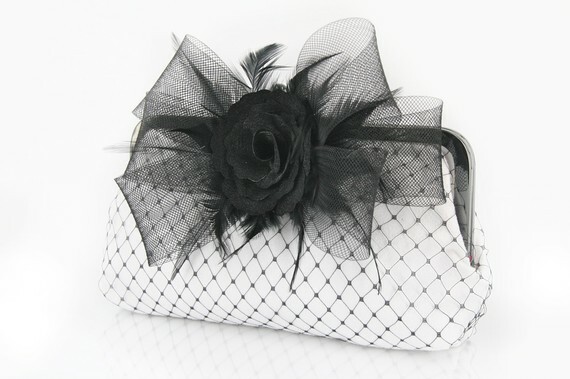 Fascinators are no longer just for Royal weddings and horse races! 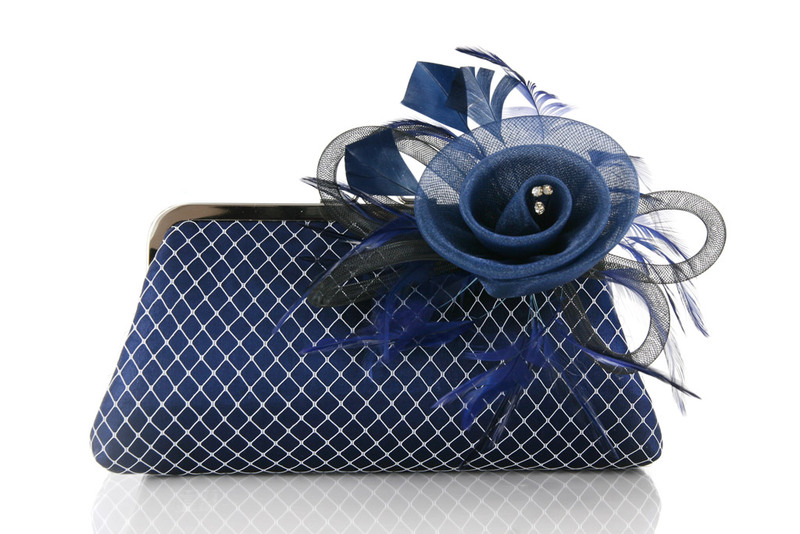 A fascinator is a headpiece, a style of millinery that is made of lace, ribbons, flowers, millinery materials and very often feathers. The *Fascinator Passion* is a new line of ANGEE W. bags where we combined our signature Passion bags (bags with an overlay of french millinery veil) and a detachable fascinator. 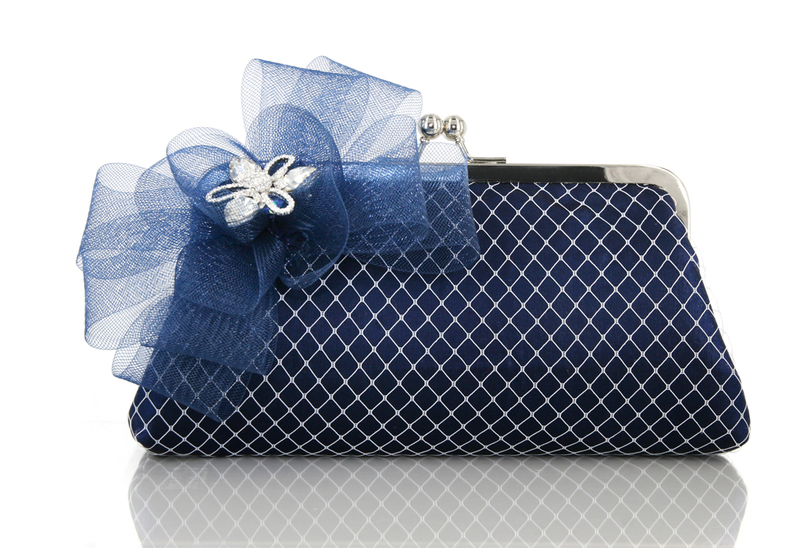 So that you can always have the option to go fancy with a fascinator in your hairdo and a handmade satin or thai silk clutch bag in your hand. 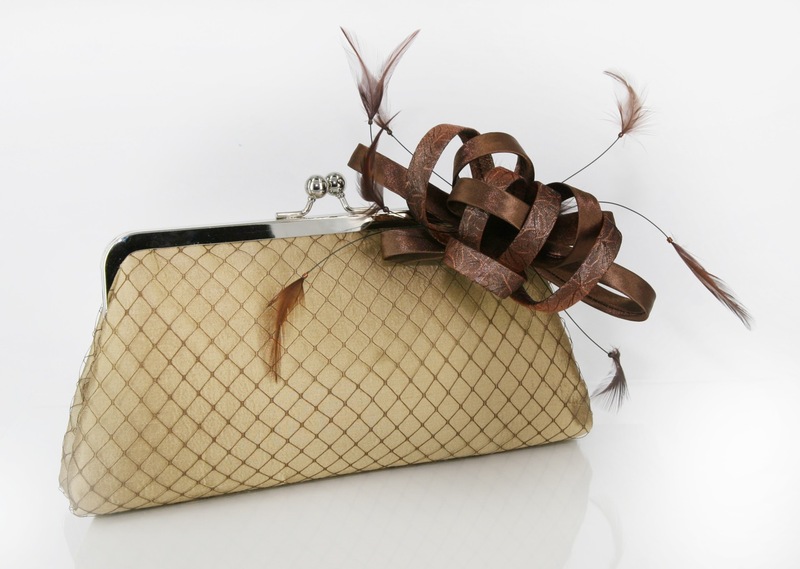 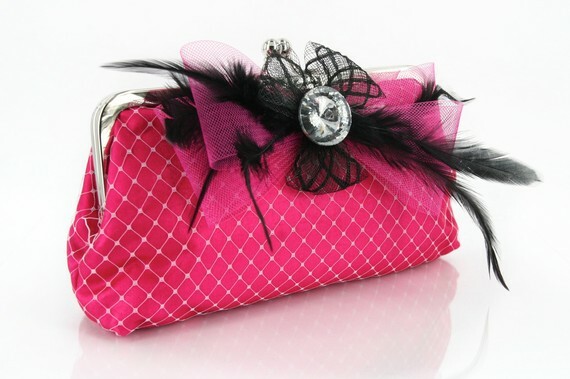 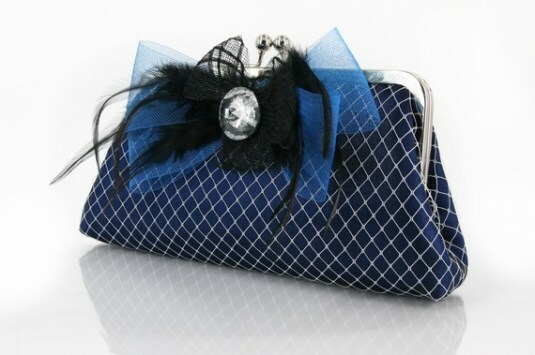 Or you can be the sassy uptown girl “wearing” a beautifully feathery clutch bag on a night out.